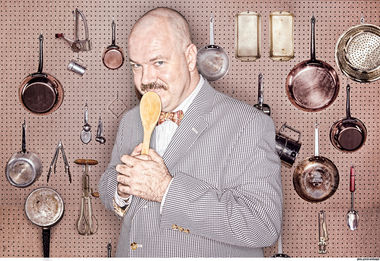 This new play celebrates the life and talent of a Portland, Oregon, original—James Beard. Before Julia Child, before today’s proliferation of cooking shows and networks, there was James Beard, the first TV chef. He brought fine cooking to the small screen in 1946 and helped establish an American cuisine. But, as is often the case with pioneers, his early efforts on screen have been lost. He went on to become America’s first “foodie,” and the award bearing his name is still the prize most coveted by chefs. Playwright James Still invites you to meet the man described as “the face and belly of American gastronomy” in this play that recreates an evening at Beard’s New York home. . I Love to Eat runs approximately 90 minutes with no intermission. Please note: Herbal cigarettes are used onstage during this production. ASL video for "I Love to Eat"